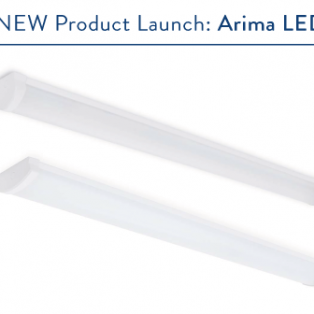 As we continue to populate our site with products, we are also giving some brand new products their debut; on this instance we are introducing the Arima LED single and the Arima LED twin. The Arima range includes a number of quality linear style luminaires with robust enclosures and efficient light sources. The product is very versatile and is available with a wide variety of options to suit the application of the client. Both the Arima single and the twin are available in 1200mm and 1500mm lengths and both utilise high quality LED printed circuit board light sources. The significance of the use of these LED light sources is the enhanced efficiency when compared to their linear fluorescent counterpart, and the increased reliability with rated lives of 50,000 hours, compared to that of 20,000 hours with linear fluorescent. The twin options in the Arima range are capable of accommodating sensors which allow for intelligent lighting controls. Our popular MIC system is compatible with this product and enables the luminaire, or network of luminaires, to sense occupancy in their field of detection, before dimming or switching off at preprogramed intervals. This functionality complements the LED’s efficiency by only delivering illumination when needed, reducing the amount of surplus lighting and resultantly enhancing energy savings. The MIC system has been proven to make energy savings in excess of 80% (as monitored by BT across 3000 exchanges nationwide). For further information about the Arima LED single and its options visit the Arima LED single product page. For further information about the Arima LED twin and its options, including intelligent controls, visit the Arima LED twin product page. 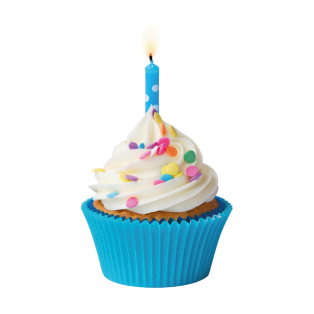 New Website’s One Year Anniversary! It has been a full 12 months since we had our website completely overhauled. We can’t help but feel that it has aged quite well; we hope you agree. We continue to work on our website daily and always ensure that it is updated with our latest products, news, technical resources and offerings. More recently we introduced a blog which we frequently update with articles of interest and opinion pieces, we also routinely introduce new technical resources for our clients to use as a point of reference. We hope our clients and customers feel the new website has been a success. We have tried to make the website as user friendly as possible; we hope this reflects in our visitor’s experiences. We do endeavour to constantly improve our website, and as such, welcome feedback from our visitors. If you’ve any comments to make please do contact us by phone or email.